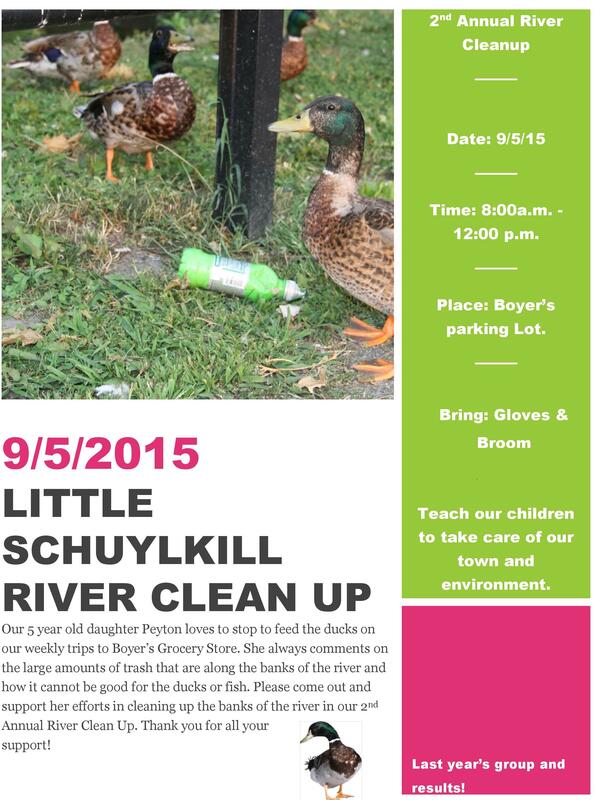 Volunteers are asking residents to take part in the 2nd Annual Little Schuylkill River Cleanup on Saturday, September 5, 2015. The cleanup will start at 8 AM next to Boyer’s Food Market and last until around 12 PM. Everyone is encouraged to bring gloves and a broom (if available). Garbage bags will be provided. Click HERE to view last year’s article about the cleanup.